A former Boston Red Sox pitcher was in attendance at the concert on the Las Vegas Strip when a gunman opened fire, killing at least 58 people and injuring more than 500 others. Mike Timlin, who retired in 2008, was at the Route 91 Harvest Festival at the Mandalay Bay Resort and Casino when shots rang out. 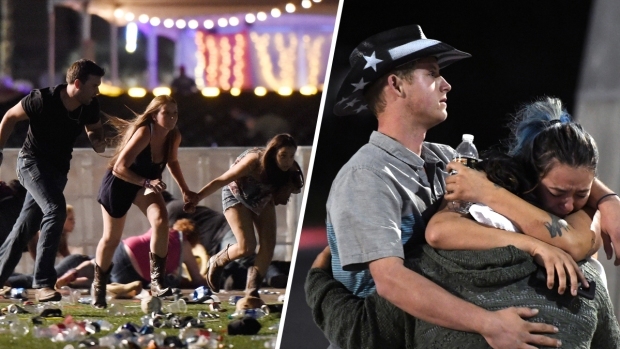 He had tweeted out a photo of his group at the concert hours before the shooting, but later provided an update that he and everyone else in his group was safe. "Was at the #route91harvest please pray for all who have been wounded. All my group is ok. #Godisalmighty," he tweeted. The death toll is the highest in modern American history, already surpassing last year's shooting at the Pulse nightclub in Orlando, which killed 49. The gunman, who was on the 32nd floor of the Mandalay Bay Resort and Casino, was found dead from an apparent self-inflicted gunshot wound, according to authorities. He has since been identified as 64-year-old Stephen Paddock. Investigators say they found "numerous firearms" in the room where he was found. 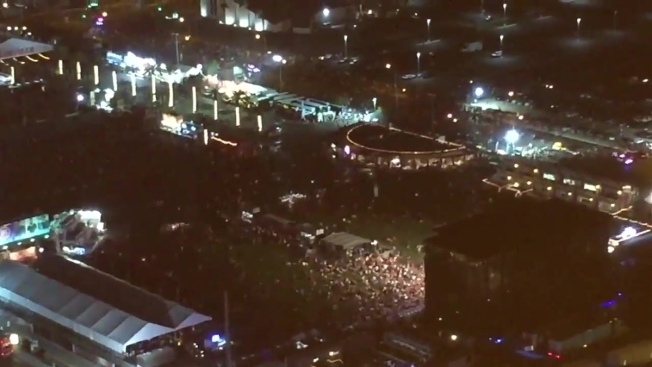 Among those killed in the shooting at the concert were two off-duty police officers. Another off-duty officer is in critical condition and another was wounded.